Tickets can only be bought on-site, day of the event. Ticket sales begin at 1:45 pm. 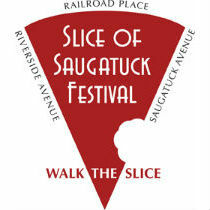 Come and see what's happening in Saugatuck - it's a renaissance of food, drink and activity. After highly successful events starting in 2011 the Slice returns for the seventh year on Saturday September 8, 2018 from 2 pm – 5 pm with over four dozen of Saugatuck's finest restaurants, shops and galleries opening their doors and inviting the community to come and sample their offerings. Walk the streets of Saugatuck Center and taste your way from restaurant to restaurant, to liquor store, to retail merchant and back. There is so much to do for the whole family. Watch a Black Belt Tae Kwon Do demonstration by Westport's award winning martial artists or check out the auction house items. Listen to bands and stroll along the boardwalk at the plaza overlooking the river or get grooving alongside the dance demonstrations. Bring the kids and check out the Fire Department's antique fire engine, the fire safety trailer and jump in a super bouncy house and learn about Maker Space and 3D printing in Luciano Park. Grab a map and see if you can taste everything being offered. Your stomach will be full before you get to the end. Get your passport stamped and enter in the lottery for gift certificates to many of these fine venues. Restaurants / Caterers, over 24 of them, will offer free tastings of their signature dishes right in front of their locations. Beer Gardens @ Bridge Square and Rail Road Place. Two dozen retailers will offer information about their existing and upcoming products and services. 7 bands playing at different venues throughout The Slice. All this for an all inclusive $15 (2 for $25) participation fee for adults and $5 for children 5-12. 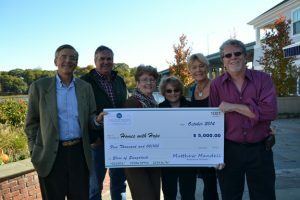 Proceeds will be donated to Homes for Hope, Gillespie Center Food Pantry. The goal is to have you see Saugatuck for what it is, where it is. Come and Walk the Slice! Note: Railroad Place will be closed to be a block party. Access to the train will still be available. Our Town Crier covers the Slice. 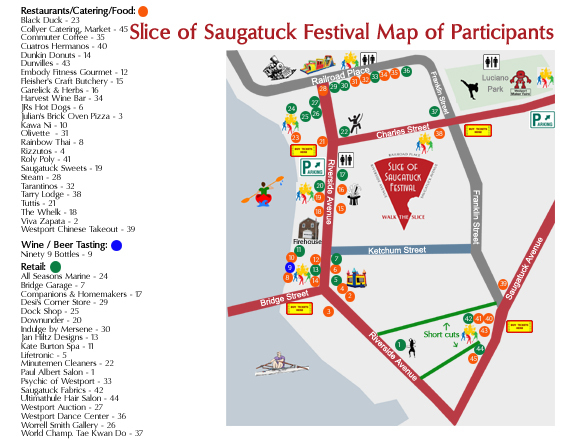 Westport News - August 3rd - Town Approves Festival - Slice to Showcase Saugatuck. 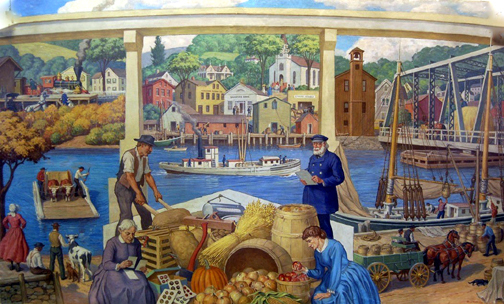 Westport Historical Society's Saugatuck restored this mural that now resides in Town Hall. If you have any questions please contact Matthew Mandell, Director of the Westport Weston Chamber of commerce matthew@westportwestonchamber.com or at 203-227-9234.